So much yarn, so little time. : Surprise! I don't *always* like surprises, but when the postman delivered this package this morning I knew it would be a good surprise! 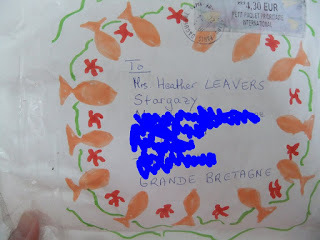 Don't you love the name of my new house: Stargazy! There are no streetlights or light pollution around here, so we can certainly gaze at the stars. 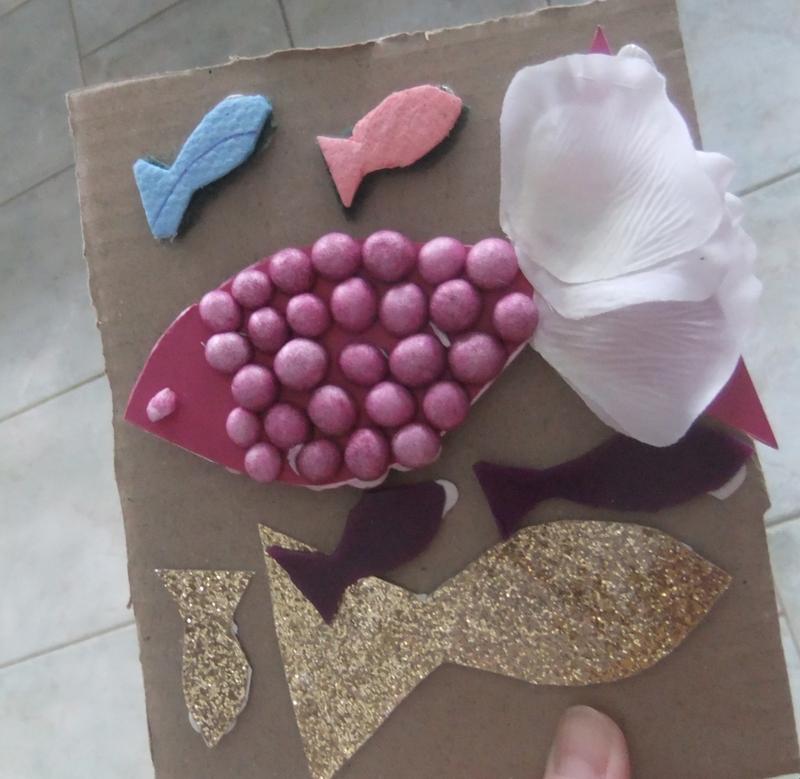 Back to the parcel - isn't it pretty? I wonder who it's from? Who do I know in France? 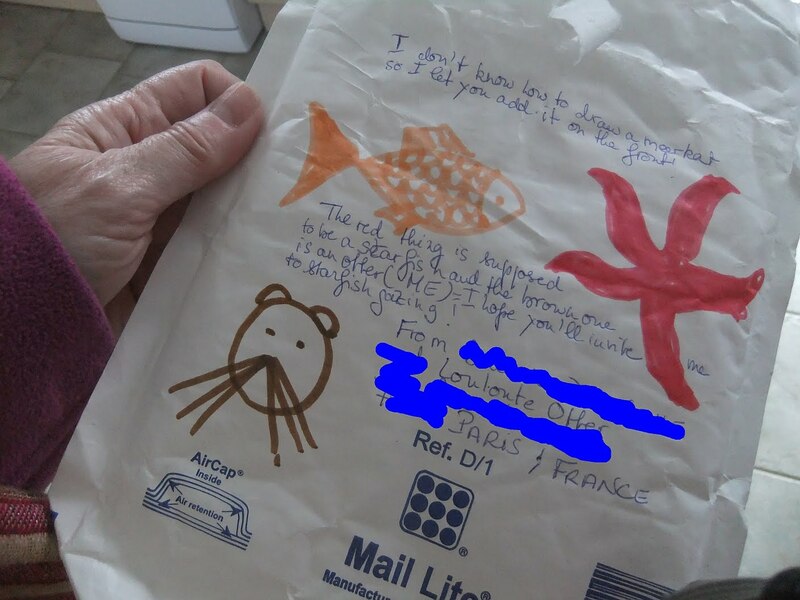 Oh I see - it's from Louloute Otter! 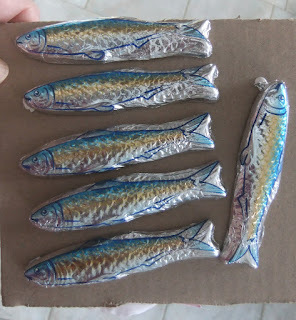 I'd forgotten, but April 1st (April Fools Day to the UK) is Poisson d'Avril in France, so Louloute sent me some beautiful fishes to stick to the backs of people I wish to prank (look out!) 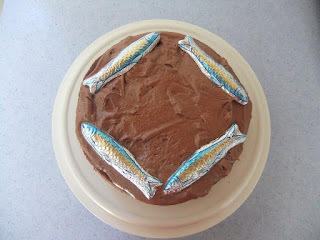 and... chocolate fishes! I love the wrappers on those chocolate fish! So cute! -- I don't remember the last time I've received a surprise parcel. So lovely!